Every year Nuto Farms donates time, financial support and supplies to local organizations. We donate to many local youth clubs and organizations and many local churches and church organizations. For more information on some of these organizations visit their websites linked in the organization headers below. "Earlier this year, Nuto Farms in Rice Lake donated 20,000 pounds of potatoes to Feed My People. Potatoes are a healthy, versatile vegetable that is sought after by all food assistance programs, especially those that lack adequate refrigeration. 'Every agency that ordered those potatoes commented on their high quality,' said Doug Wakeman, warehouse manager. 'It was no surprise that all twenty thousand pounds of potatoes were gone in a couple of weeks,' he added." 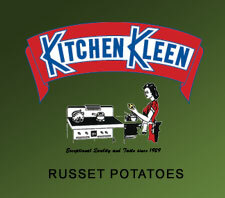 "Thank you and Kitchen Kleen Potatoes for your support of the deployed soldiers of Wisconsin's Army National Guard and their families back home through your contributions to Serving the 32nd organization. It is with your help that we were able to provide them with 'Tailgating with the Troops' on October 18, 2009. Your act of kindness has touched many lives, and will not be forgotten by any of these soldiers, their families, nor all of the volunteers who participated in this event. You were an important part of this statewide effort to say Thank You." "Thank you very much for your gift of $500.00, benefiting The Einstein Project. We appreciate your involvement in this event, as your assistance helps us provide schools and teachers with the tools for hands-on, inquiry-based science instruction and to show children the joy of learning in the sciences."